After Makanda Ken McIntyre passed away unexpectedly in 2001, it was discovered that, in addition to the approximately 75 original compositions that appear on his albums, he had written around 350 more that had not been recorded or, in most cases, performed in public. Makanda was a brilliant composer. His compositions are marked by a distinctive rhythmic and lyrical quality, along with how effectively he can do the unexpected. The unrecorded compositions promised to be a significant body of work. The Makanda Project was formed in 2005 so that this music could be explored by musicians and heard by the public. Pianist and leader John Kordalewski, who studied and performed with Makanda has, as of 2017, arranged almost 50 of the compositions for a large ensemble. With new arrangements, and without the opportunity to hear Makanda’s performances of these pieces, the Makanda Project’s approach differs from that of the “ghost bands” that sometimes form to honor the legacy of a great musician. Whereas those bands essentially revisit the original, with the same repertoire and instrumentation, the Makanda Project is extending Dr. McIntyre’s work in new ways, and has developed its own identity with his compositions as a vehicle. Saxophones: Kurtis Rivers, Joe Ford (alto); Arni Cheatham (alto and tenor); Sean Berry, Paavo Carey, Jason Robinson (tenor); Charlie Kohlhase (baritone). 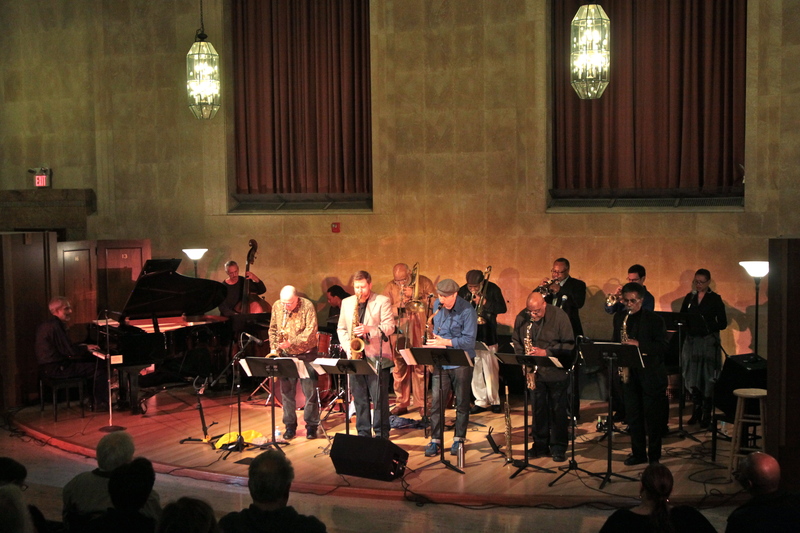 Brass: Jerry Sabatini, Eddie Allen, Phil Grenadier, Haneef Nelson (trumpet); Ku-umba Frank Lacy (trombone and vocals); Alfred Patterson, Sarah Politz, (trombone); Bill Lowe (bass trombone and tuba). Rhythm section: John Kordalewski (piano); John Lockwood, Wes Brown, Carlos Pino (bass); Yoron Israel, Warren Smith (drums). On some occasions the group also includes dancer Mickey Davidson, or a group of dancers led and choreographed by Ms. Davidson. On other occasions the group collaborates with a guest such as Chico Freeman, Michael Gregory Jackson, Feya Faku, Oliver Lake, Craig Harris, or Ricky Ford, the collaboration involving the guest’s compositions as well as pieces by Makanda Ken McIntyre. The Makanda Project “Multiple Percussion Edition” is a special format that features three percussionists (Yoron Israel, Warren Smith, and Billy Hart or Thurman Barker). The group’s repertoire also includes some works by composers such as saxophonist Bill Barron and South African musician Ndikho Xaba. The Makanda Project can be heard on a regular basis at the Bruce C. Bolling Municipal Building and on the grounds of historic First Church, both in Boston’s Roxbury neighborhood. These free concerts have a distinct community flavor and reflect the value the group places on making the music accessible on a community level. Often these events include vehicles for community participation such as live painting, facilitated by Massachusetts College of Art and Design’s sparc! the ArtMobile (Ekua Holmes, director), or performance by community youth groups. The band has also performed throughout the Eastern United States from Washington DC to Maine. It intends to tour more widely in the future, hoping to further expand appreciation of Makanda Ken McIntyre’s significance as a jazz composer. Most of the band members are also educators, and the group has presented a variety of educational programs from jazz listening seminars, to improvisation workshops, to panel discussions. The Makanda Project’s collaboration with Michael Gregory Jackson was recently reviewed by Glenn Siegel.